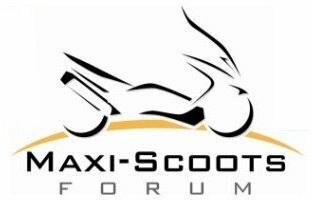 Maxi Scoots > Riding > Events and Rides > Any local Toy Runs? Henderson Co., NC held their annual toy run today. I've attended for most of the last 12-15 years. Weather today was upper 50's, no wind and not a cloud in the sky. Great turnout, probably best ever with about 800 bikes I'm guessing. A ticket is only $15 each and the money is for a good cause. I'm not big on group rides so just before the start of the ride I take off to find a good spot to get a few pictures. Surprisingly, the only other scooter today was a red B650 who also left just before the start. Got this shot with my Kymco and 6 police bikes escorting the ride. Re: Any local Toy Runs? I didn't get a chance to organize our Toy Run this year due to Pete's health. It's been a super rough month for him. Next week surgery then healing time till Christmas! Ready to end 2018!